Interior designers get paid to be creative. Many creative jobs require a talent for creating beautiful things like music and art, but designing requires the ability to know which beautiful things go well together in a space. Becoming an interior designer is a smart career choice for creative types with a clever color sense, smart space planning skills and an appreciation for chic design styles; that’s why at SIMPLINTERIORS SCHOOL OF INTERIOR DESIGN AND ENTREPRENEURSHIP(71 Falolu Surulere, Lagos Nigeria), we take our time to ensure the recipient gets the best of every designing skill one can imagine or think of! 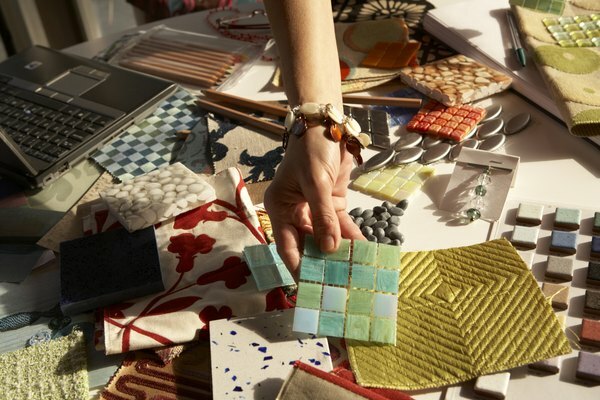 Take a peek at the perks of being an interior designer. Making a living can be difficult for artistic types struggling to sell artworks or land a recording deal, but interior designers work in a creative career that pays. While you’ll still have to deal with herculean tasks like balancing budgets and arranging installation schedules, the bulk of your workload requires you to be a visionary who can see beyond the décor that already exists in a space. Designers get paid to flex their imaginations while making-over interiors. An important distinction to remember is the difference between an interior decorator and an interior designer. To become licensed, interior designers go through extensive and exceptional trainings that allow them to get involved in the designing and redesigning of a space’s architecture. As a result, interior designers are involved with interiors during the construction or remodelling process and must battle to keep builders on their toes always and on schedule. While interior decorators might make minor changes to a room’s interior, such as replacing doors or changing out trims, they are mainly hired to decorate existing spaces. Working with existing architecture means you won’t have to hassle with construction crews. If you’re considering a career as an interior designer, at least a part of you must love to shop. Aside from arranging the floor plan and picking wall colors or coverings, a good portion of your time will be spent shopping for furniture and accessories to feature in the interior’s design. But don’t expect to spend your days rummaging through the local shopping mall; most decorators avoid the mass-market offerings at big box stores and instead focus on finding one-of-a-kind items. This means scouring the town for antique stores and specialty shops that stock unique, custom-designed pieces. The challenges decorators have regarding standard office jobs is facing the same brain vision-draining work day after day. This snag of the daily practice isn’t a problem for an interior designer, because thanks to client variety, no day is ever the same. One day you might be designing the bedrooms and common spaces in a private home, and the next you’ll be taking on the interior of a hotel or a restaurant. And every client comes with their own ideas regarding colors and design styles. Some jobs you’ll be playing with shabby chic pastels and other jobs, you’ll be neck-in on Victorian styles . Even if you spend several years decorating only private living rooms, you’ll always have the challenge of varying space plans and changing client taste, because most times, this is inevitable. For more info on how and where to get exclusive and extensive interior design training, kindly visit one of the top Interior design school known as SIMPLINTERIORS SCHOOL OF INTERIOR DESIGN AND ENTREPRENEURSHIP @ 71 Falolu off Akerele, Surulere Lagos, Nigeria.